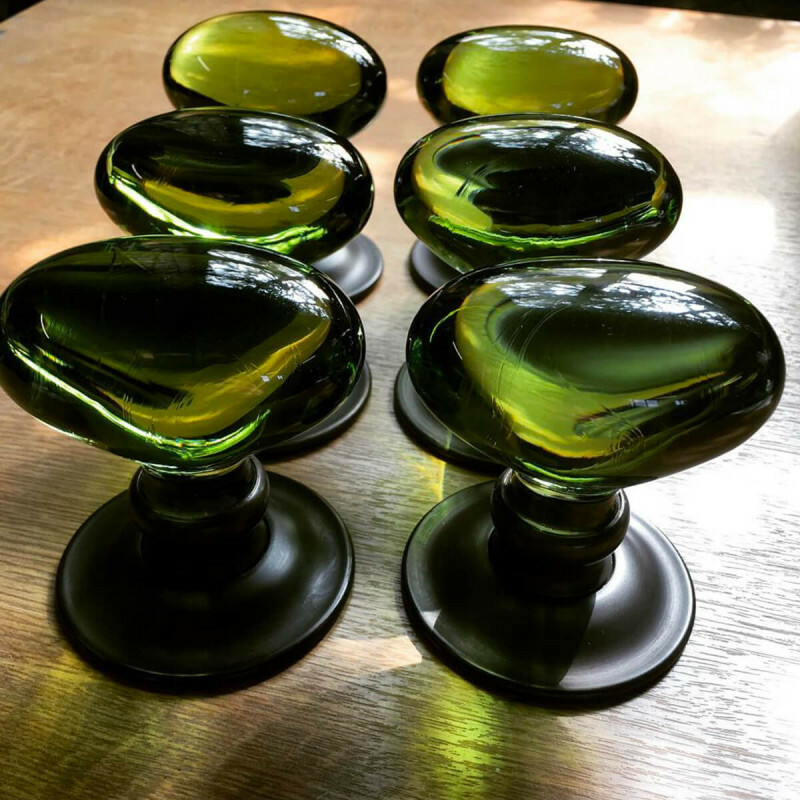 A pair of Peridot Oval Handmade Glass door knobs, shown here in the main picture with a Oil Rubbed Bronze rose. 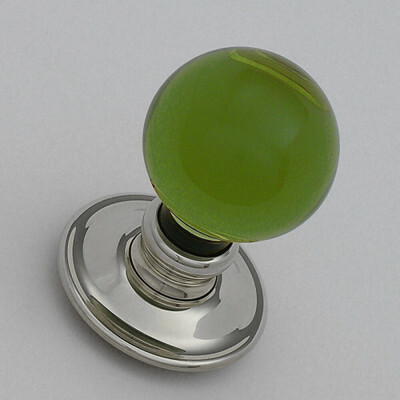 These Peridot Oval Handmade Glass Door Knobs are a well proportioned, classic shape and look truly stunning. They will look great in both period and contemporary properties alike. The Peridot green glass reflects the light beautifully, looking almost jewel like and will suit many colour schemes and interior design styles. 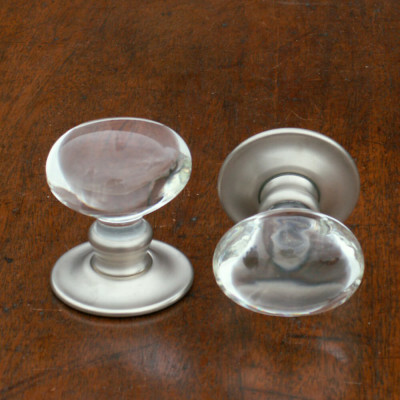 Unlike many other glass door knobs, the collar of the rose is swaged in position, where the metal is rolled over the glass to ensure durability. 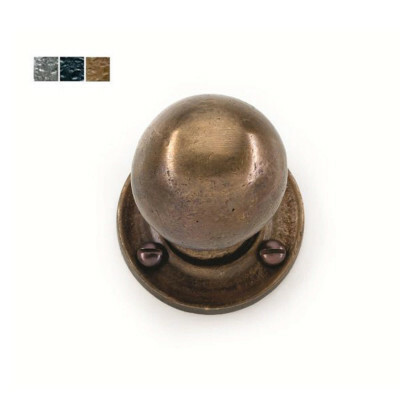 The detailed finish and the covered rose gives these door knobs a simply beautiful look. As standard the door knobs are supplied to fit mortice locks and latches and come complete with the spindle and all fixings. You may also choose to have them adjusted so that they can be used with Rim Locks, or Fixed so that they may be used as pull handles. 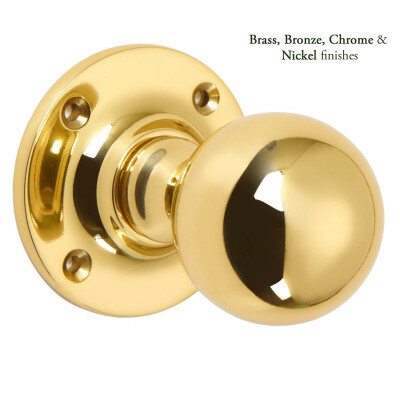 The door knobs are 'unsprung', so we recommend using a Heavy Duty or Heavy Sprung lock or latch which is at least 100mm to give a backset of 75mm or more. This is to ensure that the door knob turns properly and returns to the closed position, and that you do not catch your hand on the door frame. Sold as a Pair and supplied with all relevant fixings. The finishes can be seen below, please click on the image to expand and read the description. Due to the hand crafted nature of the products all measurements are approximate and should be used as a guide only. These are Handmade to Order delivery time is usually 2 - 3 weeks. It can sometimes be longer dependent upon weather conditions, please contact us for more information.